So it turns out, yellow nail polish is my kryptonite. I really wanted to do a whole month of unique designs, but when it came to yellow... I was left scratching my head. I just didn't know what to do with it. To make matters worse, I don't really own many yellows. 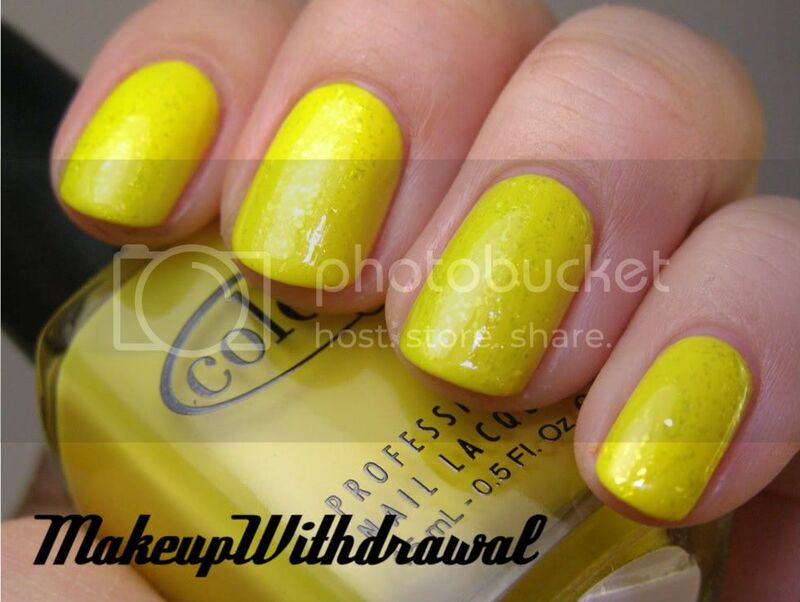 What I did here was use Color Club Almost Famous with Love & Beauty Yellow on top. *hangs my head* I'm ashamed. I'll do better for the rest of this challenge, I swear.